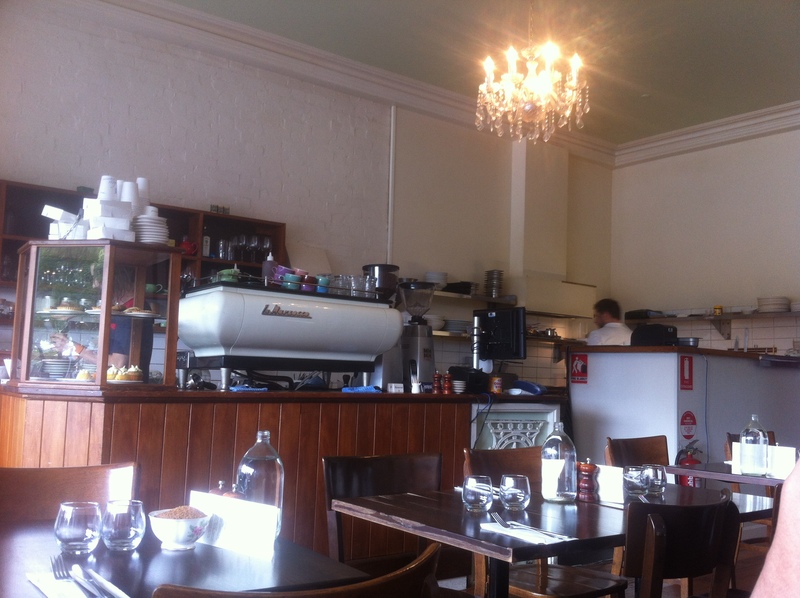 Duchess of Spotswood is a lovely little cafe in the corner of a strip down at West Melbourne. Its a great location with such a peaceful and quiet environment, which really added to the experience. The actual setting at Duchess of Spotswood incorporates both artsy and fancy features, simple yet elegant. The service was also superb. The waitress who served us was so friendly and hospitable, she made us feel welcomed and made no hesitation in helping us with the menu. What more could you ask for really! Idle Tongues ($17.50) – seared ox tongue, pickled radish, onion soubise, smoked bone marrow croquette, poached eggs & toast. Skinny Late ($3.80) – I’m not a big fan of coffee so I wouldn’t know where to begin when reviewing it. A.T, on the other hand, is a coffee enthusiast (that may be an understatement), so I like to believe he knows his stuff. 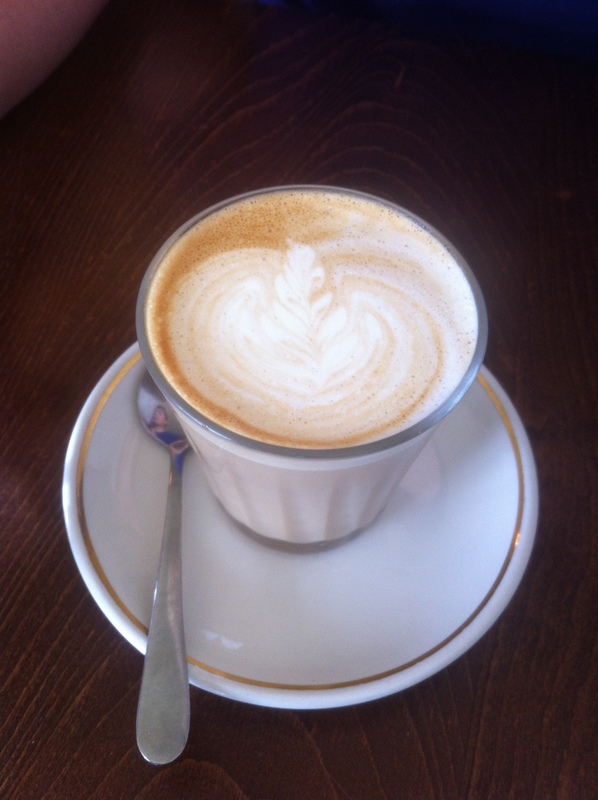 When drinking this, he said he really enjoyed it, that the coffee was brewed well and it was very smooth. 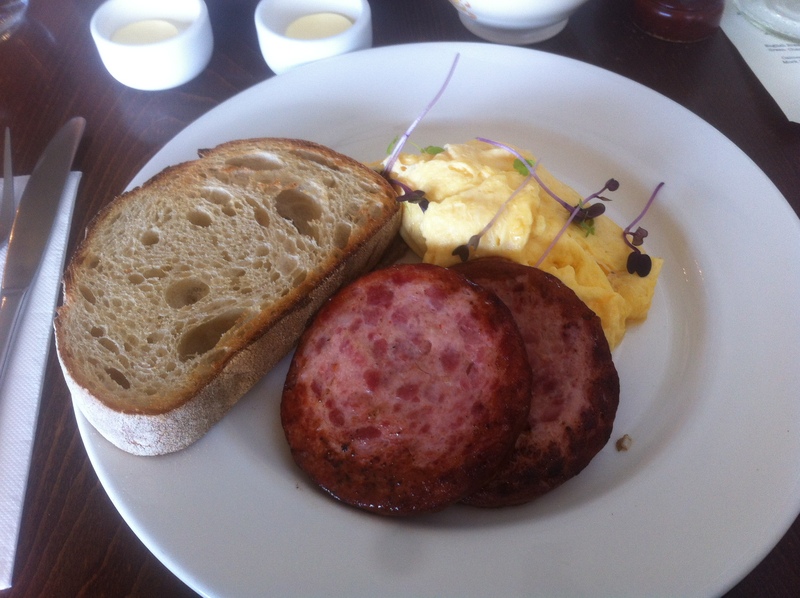 Kings’ Woodcock ($18.50) – pork, fennel & chilli sausage, scrambled eggs, gentleman’s relish & toast. To be honest, I’ve never really went out for brunch until recently and I guess it’s not my most favourite meal of the day. That’s because I find brunch to be overpriced for such simple foods that I could easily make at home (at a terribly amateur level of course). This meal was no different, I think it’s overpriced but I did enjoy it. The eggs were so fluffy and light and the sausages were really delicious, a bit of spiciness which enhanced the flavour! The relish (you can’t see it in the photo but they placed it underneath the sausages) gave the whole dish a bit of moisture and everything tied together really nicely. The toast was just standard bread though. 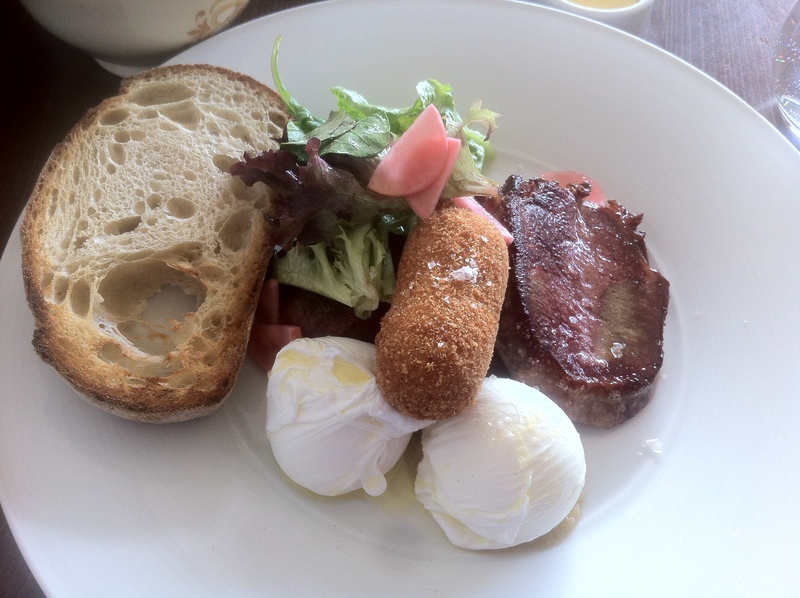 All in all, a tasty expensive brunch dish, very simple but also very little faults. Loved Duchess of Spotswood. Thanks for the recommendation. I went there on the strength of this and other reviews – and I loved the food and the service. I just don’t like driving over that spooky long bridge thing to get there from St Kilda!!! Thank you so much for your comment Lobster! I’m so glad you found it helpful and that you enjoyed eating there 🙂 the spooky drive was well worth it I hope!